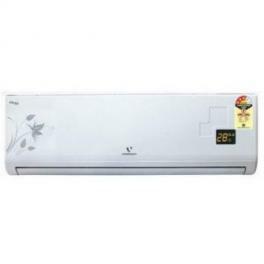 Videocon 2.0 TR 3 Star VS6C2.WM1-MCA Split Air Conditioner has 2 Tonne Cooling Capacity. This ac provides 4 way air direction and has 3 Star Energy Rating. You get various comfortable features like - Turbo Cool Mode, Sleep Mode, Anti-Bacteria, Auto Air Swing, 4/3 Speed Setting, Electronic Operation Control and Multi Stage Filter.